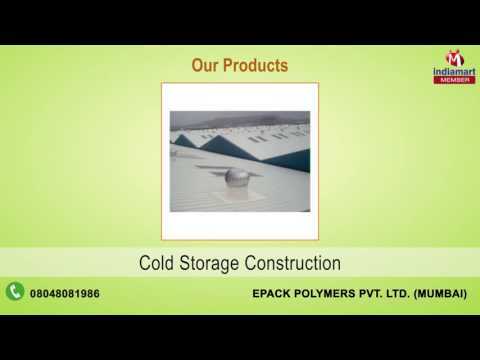 With in-depth knowledge and expertise, Epack Polymers Pvt. Ltd., established in 1999; have progressively grown to establish an enviable position of trustworthy manufacturers and suppliers of Prefabricated Industrial Products in the modern industry. Anticipating the demands of various industries, we offer products such as Clean Room Panels, Cold Room and Prefabricated Structure. Being a customer centric organization, we strive to maintain our reputation by improvising our skills and product range and assuring that our customers the best quality products in the market.